Storage for your MacBook Pro – Try 256GB SD Card! You are at:Home»COLUMN»Storage for your MacBook Pro – Try 256GB SD Card! 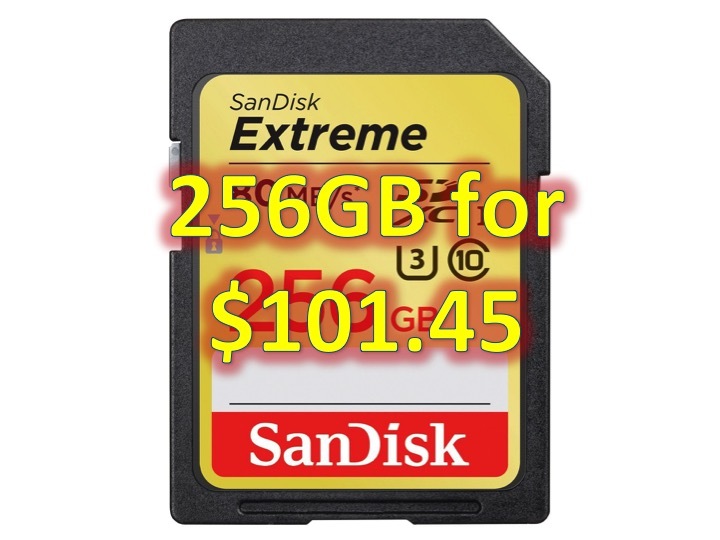 If you have been eyeing additional storage for your MacBook Air or MacBook Pro, you may want to check out SanDisk Extreme 256GB on sale for a limited time $101.45! Or if you just want to put this in your digital camera and never have to delete another picture again! 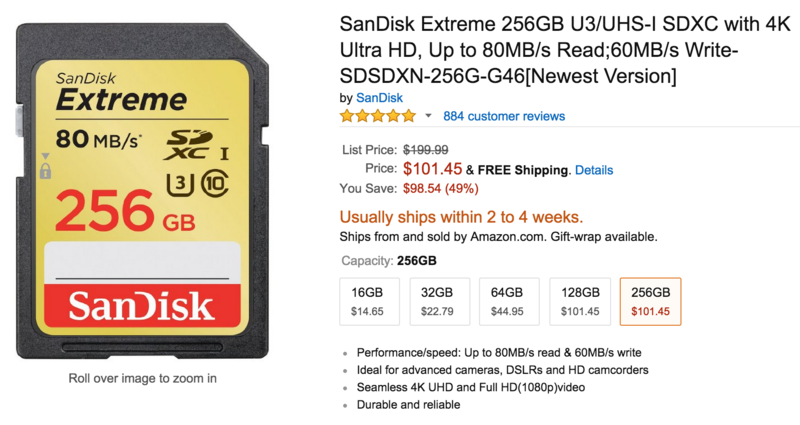 The SanDisk Extreme 256GB is available on Amazon with a rare 5.0/5.0 star review from over 800 reviews. One caveat is that this item will not ship for 2-4 weeks. In any case, you can order it now, and if you change your mind, cancel it before it ships. This price will not last long. Normal price is $199.99.